This is the second time that an oddball plant named the Pinesap has sprouted up on the hill near where our old (no longer operational) outhouse is located. Another name for the Pinesap is Indian Pipe. Unlike most plants, the Pine Sap (Monotropa hypopithys) does not contain chlorophyll to convert sunlight into energy. The Pinesap gets its nutrients from organic matter in the soil and is a parasite of plant roots (much like the Vancouver Groundcone). It flowers from June through October. In the summer, the blooms tend to be yellow and in the fall, they tend to be more reddish. As you can see, mine is the summer variety. The week after Easter is my traditional time for garden work. I spread things out to make it fun, not a chore. Over the last two weeks I've worked up the soil and planted seeds, seedlings from the nursery, flowers, trees, and lots of onion sets. But I haven't been the only visitor to my float garden and deck pots. Here are a few of the rest. When Wayne and I took a quad ride, the roads seemed to be littered with bright orange confetti. When we stopped to consult a map, I found the source. It was a fungus growing right out of the rocky soil. Some were tiny and growing in clusters, but some were several inches across. They are called Orange Peel Fungus, a very appropriate common name. They look like just like bright orange peels curled up on the ground. The scientific name is aleuria aurantia. It's a cup fungus that likes to grow in clay soil, disturbed areas, and along road cuts and banks. Last month I used some of my starter to make Buttery Sourdough Pan Rolls. Even though I cut the original recipe in the cookbook in half, I had enough dough left over to freeze for later. Here's how I used it. The recipe I used for the rolls didn't call for kneading because as the cookbook said, "rolls are small, so gluten doesn't need to be strong enough to hold up the weight of a loaf." Oil pan and coat with cornmeal. Rather than using the dough for more biscuits, I formed it into a small loaf. I have a small loaf pan I found at the thrift store that was just about the right size for the dough I had left. Work cold dough with your hands. I let the dough thaw, but before it got to room temperature, I used my hand to work it up a bit. My thinking was that it would help work up the gluten a bit more. Once it got sticky, I stopped and formed it into loaf shape. I oiled and dusted the loaf pan with cornmeal. After placing the dough in the pan, I covered it and put it in a warm place near my stove to raise until double. Slit top, drizzle with herb butter. I used a sharp knife to slit the top. I also melted a tablespoon of butter with dried thyme, garlic powder and a bit of salt. I used that to drizzle over the top of the dough before baking. Since it was a small loaf, I baked it at 350 degrees for about 45 minutes. The texture of the bread was more crumbly than my kneaded variety, but it tasted great warm with butter, and later warmed up by pan toasting. Not making it into rolls helped us stretch it over several meals, rather than gobbling down all the rolls in one sitting. Plus, it was way easier. I only recently discovered the wonderful books written by Lyn Hancock. 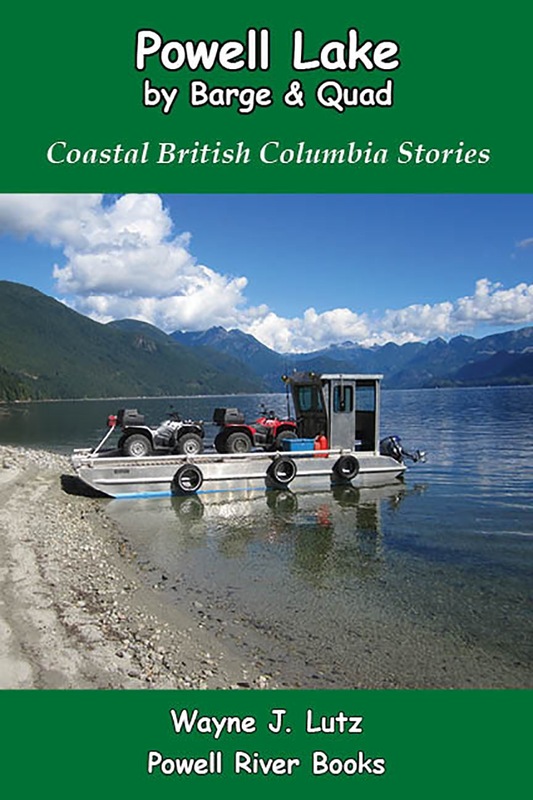 She's a prolific and well known author here in British Columbia. As a retired teacher, I'm sure she is proud to have children, young adults, and "grown ups" enjoy her tales. Once a teacher, always a teachers. Love Affair with a Cougar begins with Lyn and her husband David living in Vancouver, BC. While David studied zoology at the University of British Columbia, Lyn taught grade four at Lord Kitchener Elementary School. 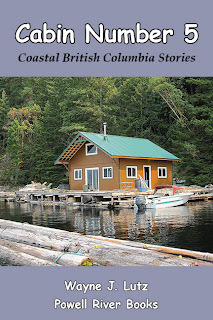 Their rented home was shared with Sam the sea lion, Haida the puppy, and a variety of other critters needing care. 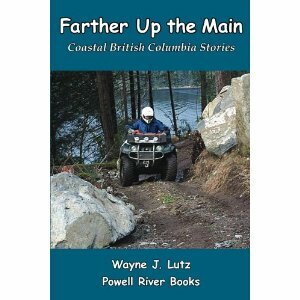 The story opens with David crawling through their bedroom window with four orphaned cougar kittens. He's brought them home to raise and study. 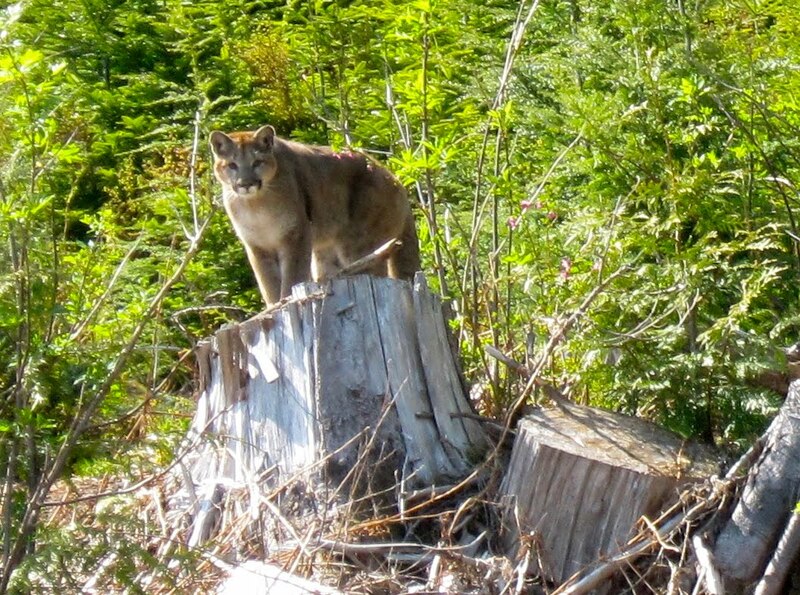 Wayne's photo of a cougar up near Heather Main in Powell River. There were lots of hints that life with David wasn't easy. He was a dreamer and planner. Lyn was left with the day-to-day chores with animals and home, all the while teaching for pleasure, and to bring in a steady family income. Of the four cougars, Tom was the only male. David decided Tom would be the focus of their efforts. 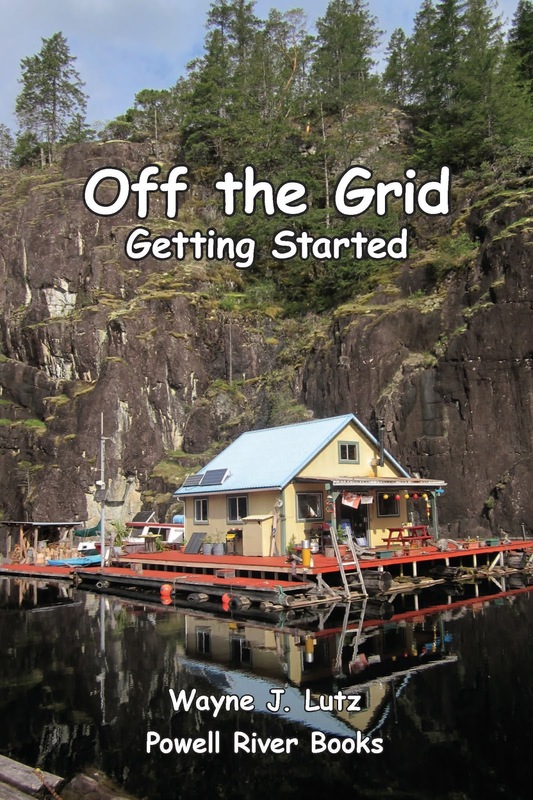 As problems grew in their Vancouver neighbourhood, the couple purchased property near Victoria. But rather than a peaceful retreat, they became embroiled in controversy and politics. Through it all, Lyn stood by Tom, looking out for his best interests. As a retired teacher (and administrator), my heart went out to Lyn. I enjoyed reading about how she used animals and science to thematically teach all content areas. She drew out shy students, and challenged everyone to do their best. I can almost hear the conversations in the teacher's room. Been there, done that as a young enthusiastic teacher among a faculty of entrenched colleagues. I love spring! Wild flowers are in bloom. Here are some roadside posies I found down near the Shinglemill dock. The RESCUE! W.H.Y Trap is designed to attract and trap Wasps (W), Hornets (H) and Yellowjackets (Y). Last year we had three wasp nests at the cabin. One was easily dealt with because it was exposed. The other two were more problematic because they were hidden in the wall and under the deck, so we had to tiptoe lightly every time we went around the back of the cabin. This year I decided to take a proactive rather than reactive stance. I got a W.H.Y trap at Canadian Tire because it advertised that it used a special liquid attractant that could entice early emerging queens to enter the trap. And to top it off, I got it free with my Canadian Tire Money. That took a lot of "sting" out of my purchase. The trap is “baited” with the liquid attractant in three spots, on the bottom in a felt pad, on the top in a small vial, and in the main chamber in a cup of water. The sturdy plastic trap is designed to last for years, and refill packages are available. That’s the good news. The bad news is that the attractant only lasts for two week and refills cost about $5.00 each. But if I can prevent a nest under our float deck or in the cabin wall it’s well worth it. We are having a amazing spring here in Coastal BC. Up on Powell Lake, the weather was sunny, warm, and so calm that you could see a reflection in every direction you looked. The barge hardly ripples the water as we head up the lake. Very little snow in the high country for early April. Last winter I lost a fir tree that I've been nurturing in a deck pot for three years. Storm winds whisked it away pot and all, leaving only a few decorative rocks behind. It was a really sad day. I love using native plants in my landscaping. They grow better than non-native species. Wayne and I went out and found a replacement for our fir tree. Like many of our things around the cabin, he got a name, Firby. I tucked Firby into a large barrel of soil to wait out the cold months. The new two year old Firby "chained" to the deck. 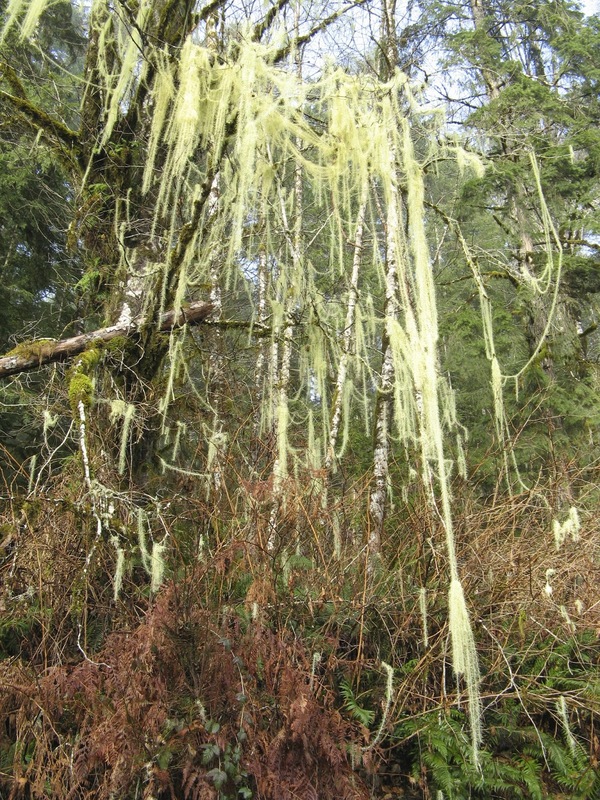 In our moist climate, mosses and lichens grow in profusion. You see many trees encased and draped with these non-vascular plants. 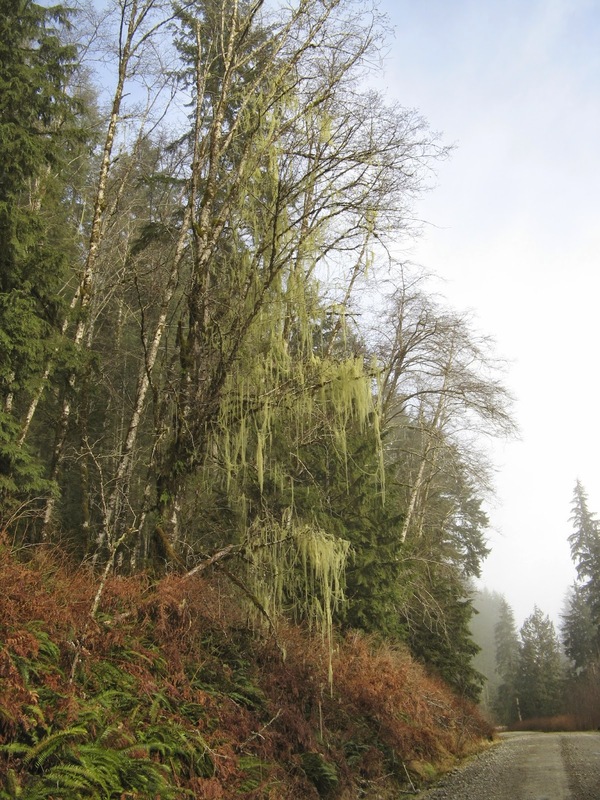 One impressive lichen is called Methuselah's Beard (Usnea longissima). As with all lichens, it is a composite organism with both plant and fungus characteristics. It hangs from trees in long masses that make you think of the Old Testament patriarch who was reported in the bible to have lived 969 years. These beards aren't that old, but look like they've grown for a very long time. 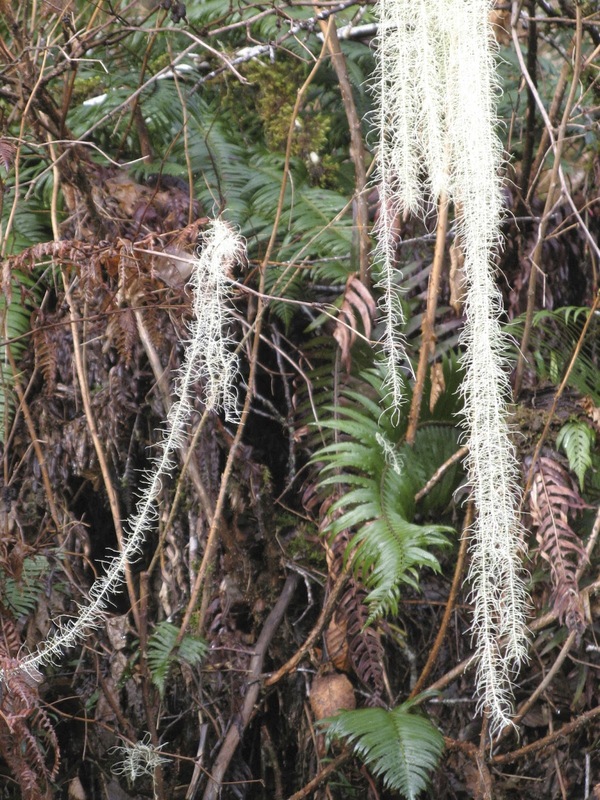 Methuselah's Beard (click here for a fact sheet) used to have a much wider distribution around the world, but it has been declining due to habitat and environmental changes. It is still common along the Pacific region from Northern California to Alaska. Even where it remains, it has a spotty distribution, possibly related to its asexual reproduction through fragmentation of the thallus base. It's most frequently found on old growth and mature conifer and hardwood trees in forests with high humidity such as coastal ranges. As these trees are harvested, the habitat is reduced. The colour ranges from pale green to a yellowish-silver tint. This closeup with flash made it turn white. My five year old cedar in its new pot. We have small trees in pots on the front deck. We start with plant two year old seedlings. It's either the water, sun, fertilizer, or tender loving care that makes them outgrow their containers in just a few years. Two cedar trees have been sharing my rectangular pots with flowers from spring to fall. Now the trees make too much shade, and their roots have taken over the limited soil. I got two larger pots free with Canadian Tire money. They are pottery coloured, but made of plastic. We need to limit weight on the deck. I waited until spring to transplant so the trees would start their new growth in their new homes. The alternative was in the fall, but I didn't want to disturb my remaining flowers. You can see that the scale-like cedar leaves are still sporting their winter brown. That's a hint that it's a good time for transplanting. The tree is still dormant. To help keep the soil light in the pot, I purchase a bag of Vigoro Perlite to combine with potting soil. The Perlite reduces weight, but it also provides for soil aeration, helps prevent soil compaction, and foster root growth, just what I am looking for. Wayne drilled holes in the bottom of my pot and I placed a few rocks in the bottom. This will help keep the soil from blocking the drain holes. It will also help keep the weight at the bottom, hopefully helping to keep the pot from blowing off the deck. I put a layer of potting soil over the rocks, a layer of Perlite, and more potting mix. I mixed them together and made a hole for the roots. The hardest part was getting the trees out of their former pots. They were root bound. Once the tree were in place, I filled in with potting soil. I staked the trees, and surrounded the trunks with more rocks. The rocks look good, add weight, and keep the soil from drying out. My other cedar tree with its driftwood windbreak. What happened to the flower pots? Of course, I went out and found two more two year old cedars to start the process all over again. 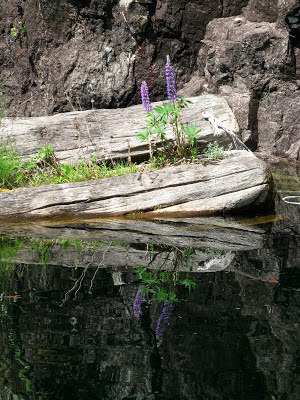 In the front and back of our cabin we have Large-leaved Lupine (Lupinus polyphyllus) growing on floating stumps. I love the way beautiful stalks of purple flowers and bright green palmate leaves reflect on the lake's surface on a calm day. When that happens, it doubles our viewing pleasure. You will find this Lupine growing predominately from Northern California through Southern British Columbia. It is much larger than the Lupine I was familiar with when I lived in Southern California. This variety can grow up to 1.5 metres tall. Several tall sturdy stems rise from a cluster of basal leaves. Additional leaves continue up the stems in an alternating fashion. At the top, blue to purple pea-like flowers bloom. The flowers open from the bottom up, making the blooming season last a long time. When the season has passed, curved hairy pods form. As they age, they become dark and split, releasing the seeds.